Instagram has announced a couple of new updates for their direct messaging tool, which could give businesses another way to link users to relevant product pages in order to better facilitate transactions. Maybe. First, Instagram has announced that users will now be able to share website links in DMs, which will appear with an auto-preview in the thread. I mean, it's not links in captions, which is what businesses really want, but it's another way to connect with users, and usher them to relevant product pages. For example, at present, a lot of brands on Instagram use the old 'link in bio' tactic to direct potential customers to product pages using the only link they can add to their profile. Now, you might also consider trying 'DM for link'. It may or may not prove more effective - not everyone's going to want to get into a DM conversation with a business (and risk the potential of follow-up spam), but it's another consideration to keep in mind. And also worth noting - as part of their last DM update back in April (in which they merged disappearing and permanent messages), Instagram said that they've seen a significant jump in messaging activity on the platform of late. "Since our last update in November 2016, the number of people using Direct has grown from 300 million to 375 million." So more people are using DMs on Instagram - more than half of their 700 million active users - which, again, may make it a more relevant consideration now that you can add direct links. 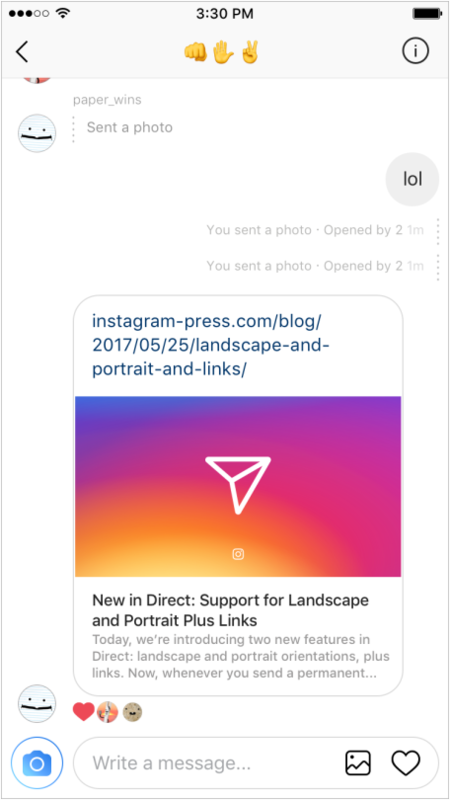 The other new addition for Instagram's direct messages is the ability to send both portrait and landscape oriented photos. "Now, whenever you send a permanent photo or video to your friends in Direct from your camera roll, you don't have to worry about cropping it." In a separate update, Instagram has also noted that they've added a new range of objectives for Stories Ads, which they made available to all advertisers back in March. "When first rolling out ads in Instagram Stories, we began by focusing on the Reach objective to help businesses better target and reach the people they wanted to connect with. But over the past three months these capabilities have greatly expanded, giving businesses the ability to purchase ads in Instagram Stories across additional objectives - Video Views, Traffic (formerly known as Website Clicks), Conversions and Mobile App Install"
Of all of Facebook's Snapchat clones, Instagram Stories has far and away been the most successful, with more than 200 million daily active users - a significant audience base, making it a relevant consideration for all advertisers. Now, there are more ways to tap into Stories and utilize the option to help expand your brand message. Landscape and portrait uploads in Direct are available today on iOS, with Android coming soon. 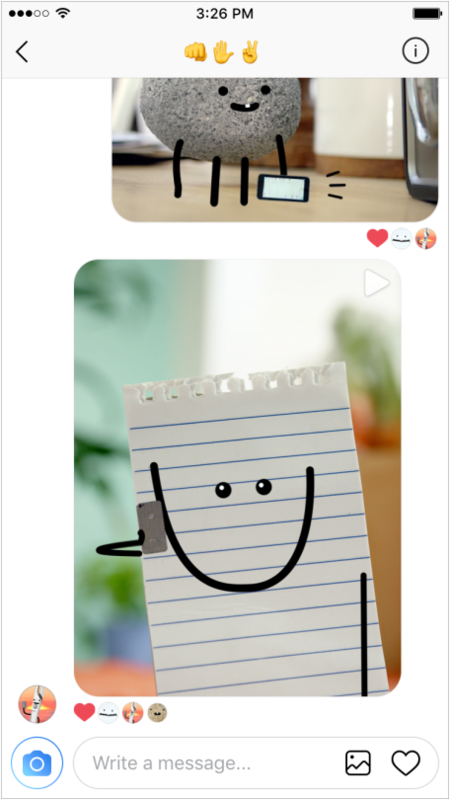 Links in Direct messages are available today on both Android and iOS as part of Instagram version 10.22.